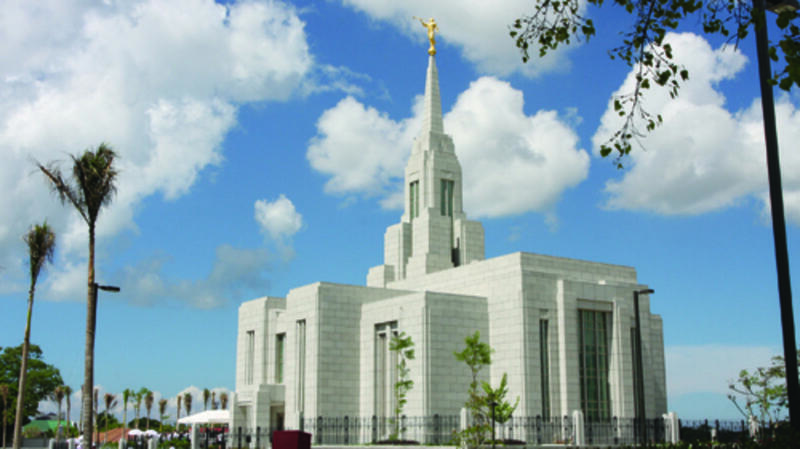 How very fortunate we are to have two temples in the Philippines and another announced for construction. To be so blessed is a mark of the growth of the Church in the Philippines, the Lord’s love for the people and of the faith of many members. The Lord is establishing His Church on these Islands and yet there is still much to do. Of course, to truly benefit from these temples we must use them. An increase in temple participation will allow us to make sacred covenants that will help us to stay strong in the face of adversity, help to build our personal testimony of Jesus Christ as our Savior, and make available the ordinances of salvation and exaltation to our deceased relatives and others. Baptism and confirmation into The Church of Jesus Christ of Latter-day Saints brings some of the blessings of membership, but until we have entered the temple and have received all the blessings which await us there, we have not obtained everything the Lord has to offer. The greatest blessings of Church membership are those blessings which we receive in the temples of God. To be able to attend the temple you will need the precious gift of a current temple recommend. This gift should be sought whether you can attend the temple regularly or not. You will increase in spiritual power by giving an account of your worthiness to your priesthood leaders, obtaining a temple recommend and in carrying it with you. I know that as I open my wallet and see my temple recommend it reminds me of who I am and what the Lord expects of me. LDS homes in the Philippines will be spiritually stronger as parents and youth qualify for a temple recommend; a full recommend for adults and a limited use recommend for young men, young women and young single adults. If you are of the age to qualify for a temple recommend but “something” is holding you back, determine now to resolve that “something” and qualify yourself to enter the temple. Clean hands and a pure heart are determined by our belief in God the Father and His Son Jesus Christ and in the Holy Ghost and the reality of the Atonement, our faithfulness to covenants and obedience to commandments and our willingness to serve and attend Church meetings. The standard is one the Lord has set and is not so high that it cannot be achieved. All of us can be current temple recommend holders. In my teenage years I saw the financial sacrifices many Pacific Islanders made to travel from their Island homes to the temple in Hamilton, New Zealand, and I have seen some of that same sacrifice in the Philippines. It appears that there has almost always been some degree of sacrifice associated with temple attendance. For some it is the struggle of finance and for others the struggle of becoming a full tithe payer or obedience to the Word of Wisdom or of making the time to attend. Whatever the struggle, overcoming it will be worth the rich reward of being worthy to hold a temple recommend and attending the temple as often as you can. President Thomas S. Monson has reminded us that, “If you have not yet been to the temple or if you have been but currently do not qualify for a recommend, there is no more important goal for you to work toward than being worthy to go to the temple” (“The Holy Temple—a Beacon to the World,” Liahona, May 2011, 93). The Area Presidency joins with President Monson in encouraging those with temple recommends to use them, for those who once held a recommend but no longer do, to qualify themselves once more and for those who have yet to receive their first recommend to prepare themselves for that important demonstration of their discipleship and conversion to Christ.